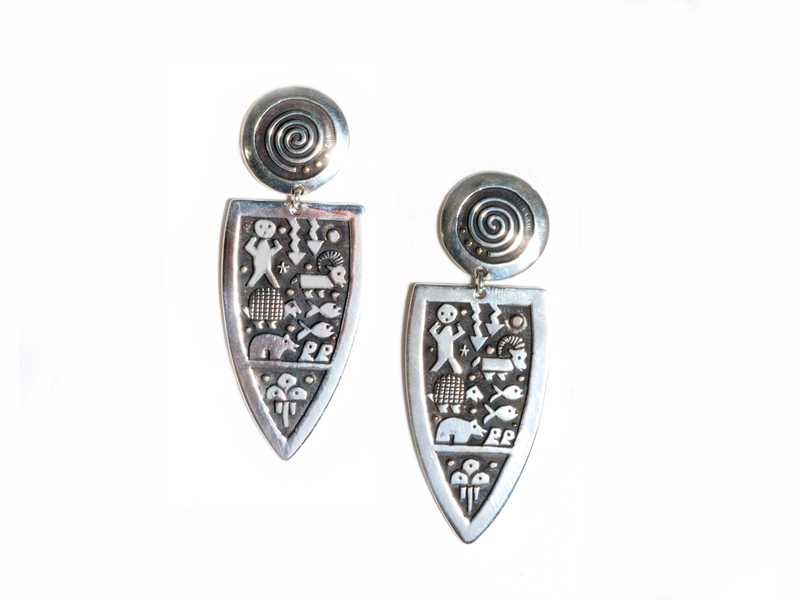 Sterling Silver Pueblo Scene Dangle Earrings handmade by Joseph Coriz. 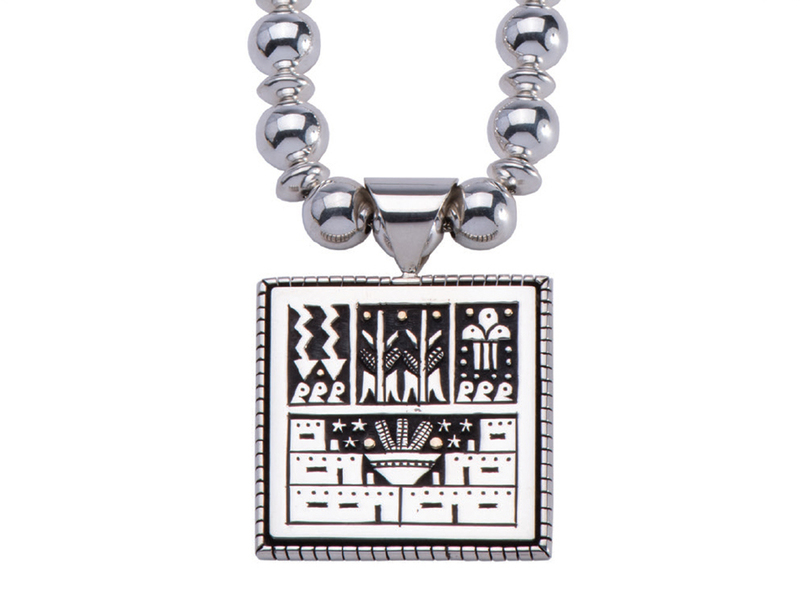 Sterling Silver Pueblo Scene Dangle Earrings handmade by the amazing Joseph Coriz. This fabulous pair of earrings feature hand cut sterling silver images of a person under the night sky with lightning and animals over silver with 14 karat yellow gold accents. The bottom of the earring has a thunderstorm which nourish the crops. The earrings measure 2 3/4″ inch long by 1″ inch wide. 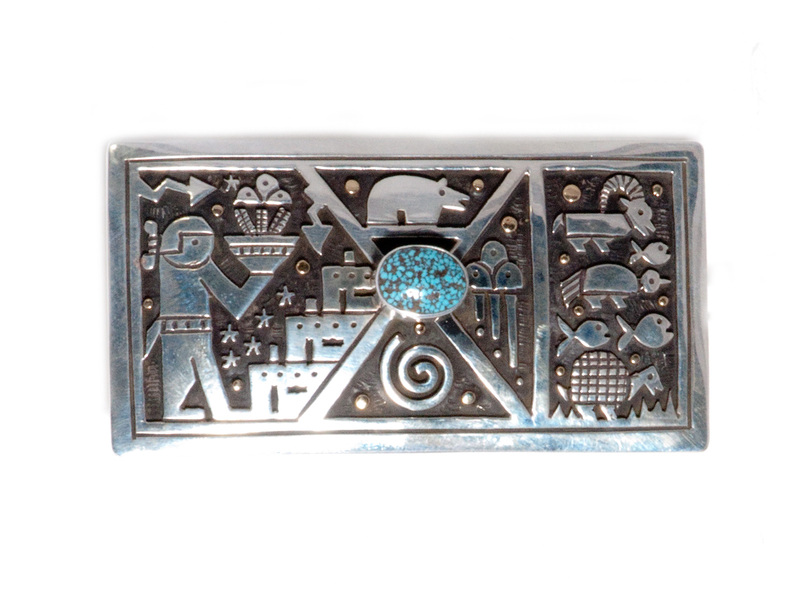 From the Santo Domingo Pueblo, Joseph Coriz is a self-taught silversmith and jewelry artist who has been creating traditional Native American jewelry for the nearly two decades. A draftsman for 23 years, Coriz decided he wanted something different for himself; something meaningful. Through jewelry-making Coriz realized he could tell his grandfather’s story and the story of his heritage. 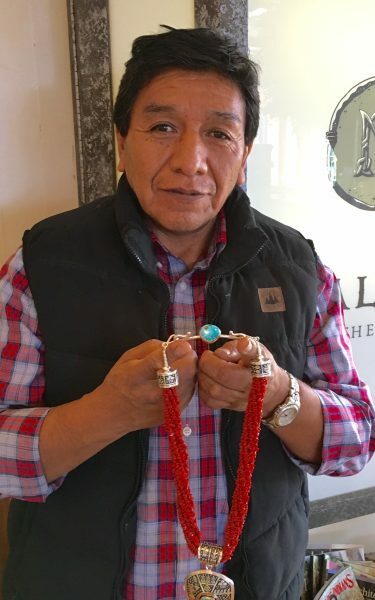 Working with the highest quality coral and turquoise in all of his pieces, each one-of-a-kind necklace and bracelet brings to life the rich history of his Native American culture. 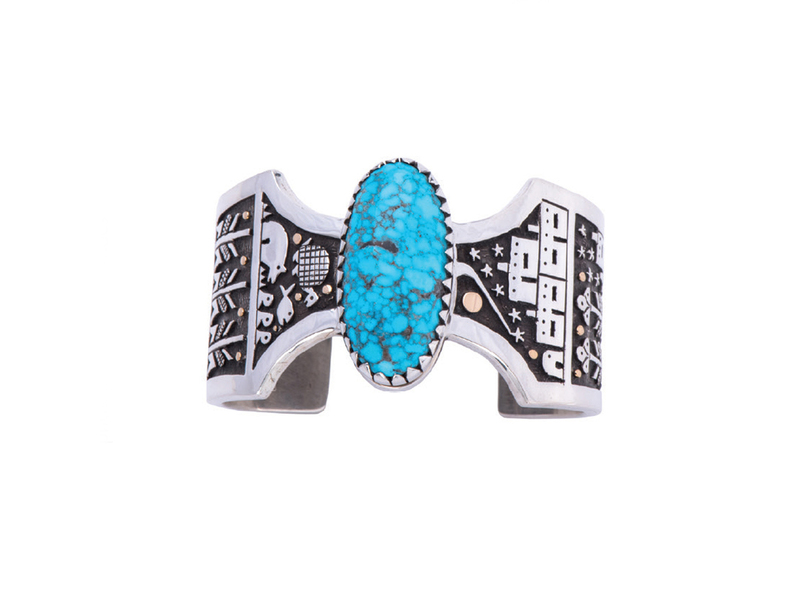 Known also for his sterling silver overlay design where he incorporates traditional symbols and patterns, Coriz has built a reputation as a standout in Native American and Southwestern jewelry design.